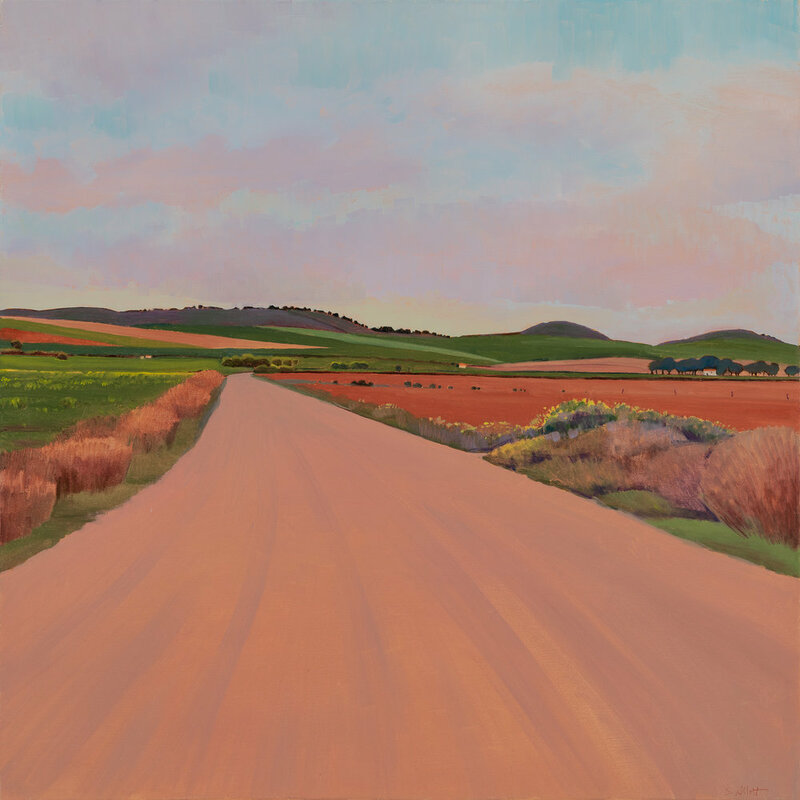 “One Way, Many Paths: An Artist Walks the Camino” documents my pilgrimage across Spain on El Camino de Santiago, or The Way of St. James. The Camino was the most important spiritual road of the Middle Ages, and continues today to be one of the world’s great pilgrimage routes. I set out alone from St. Jean Pied de Port, the traditional Camino starting point on the French side of the Pyrenees, carrying a backpack that included sketchbooks, painting supplies, and a journal. Two months and 590 miles later, I arrived on the Atlantic coast with drawings, watercolors, poems, and diaries documenting my pilgrimage, as well as vivid impressions of a profound experience. 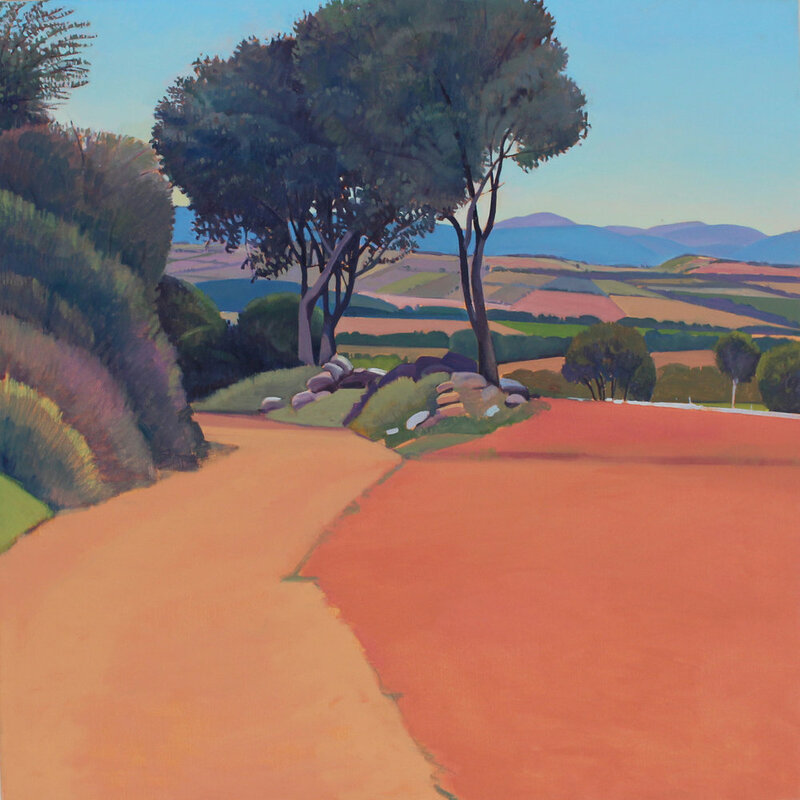 When I returned to my Vermont studio, I was inspired to create a series of paintings about the Camino from my on-site references and memories. 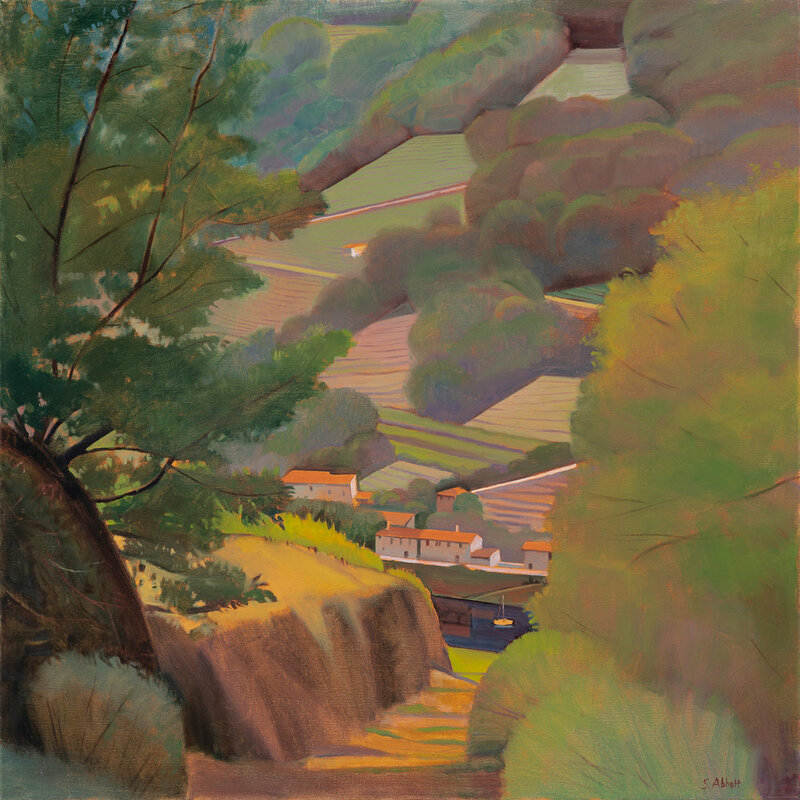 These 34” x 34” oils document the dramatic, ever-changing, panoramic landscape I experienced on my walk. 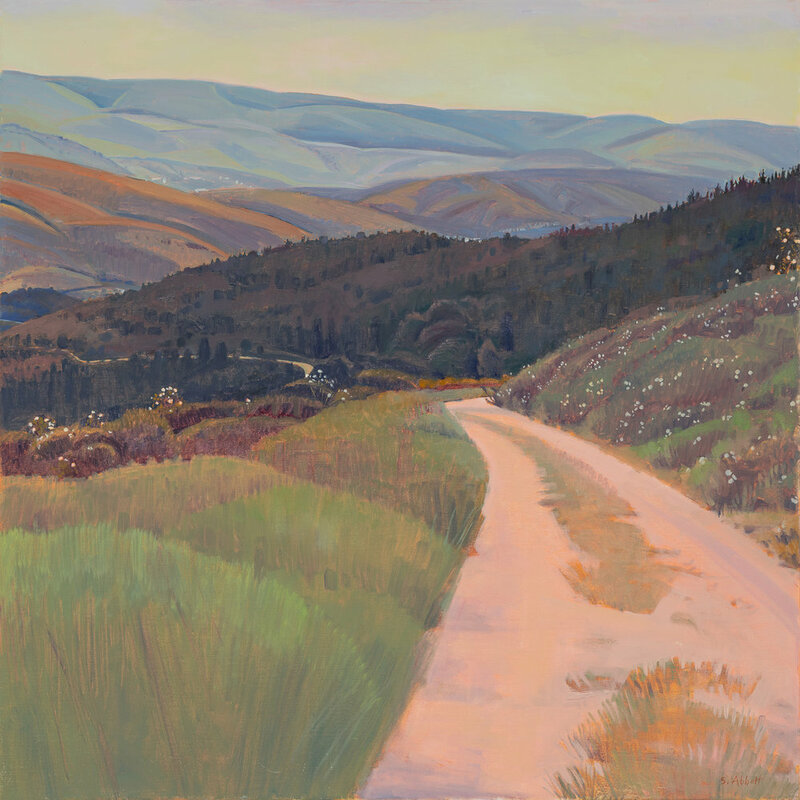 My hope is that “One Way, Many Paths: An Artist Walks the Camino” will speak to viewers about the rich diversity of place and the transforming experiences that are available to us in our world today, if we venture out to find them. 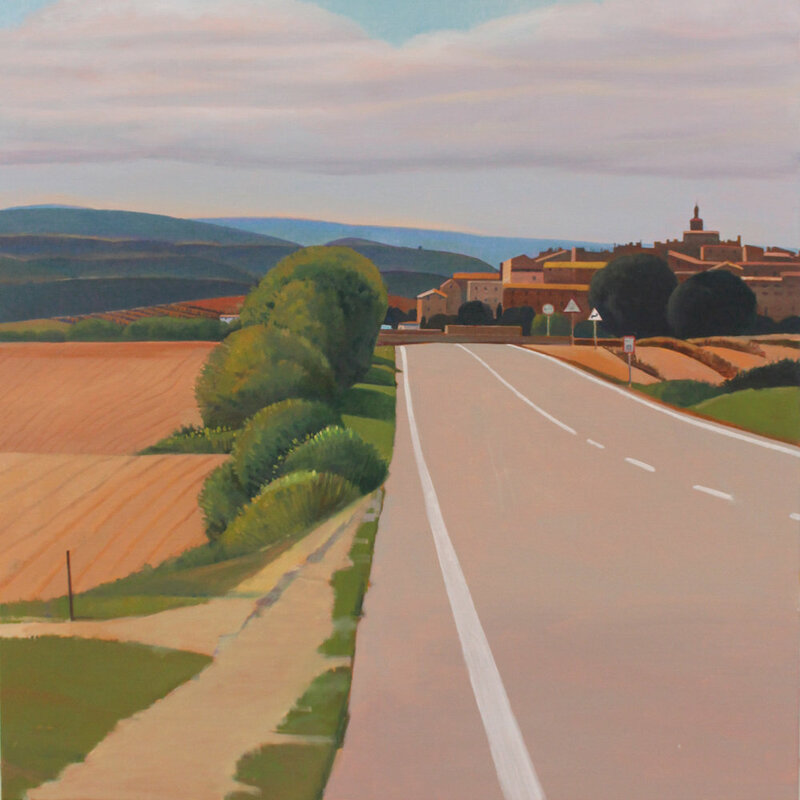 A selection from the exhibit “One Way, Many Paths: An Artist Walks the Camino." Click on paintings to enlarge. 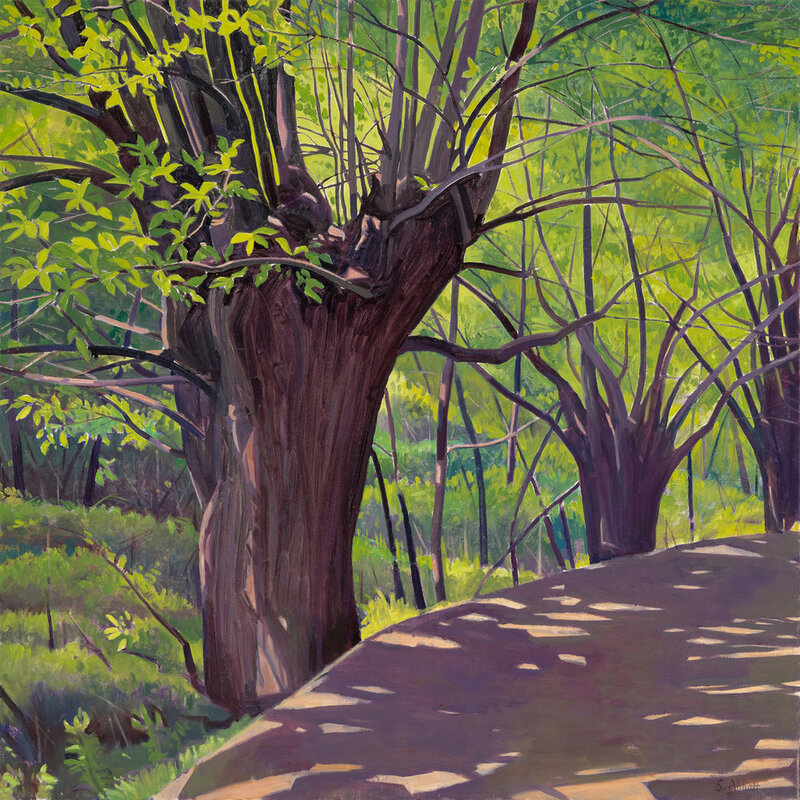 All paintings are 34" x 34", oil on linen.